From the imaginative mind of Bryan Fuller ('Heroes', 'Pushing Daisies'), and the artful direction of David Slade ('The Twilight Saga: Eclipse', '30 Days of Night'), comes a one-hour drama series exploring the early relationship of Thomas Harris’ famous characters – psychiatrist Dr. Hannibal Lecter and his patient, gifted FBI criminal profiler Will Graham. This stylized thriller tells an original story of masterful manipulation. AXN will premiere the highly anticipated, original series Hannibal on 9 April 2013 at 10pm (SG, MY, HK) 9pm (JKT)/ 8 April 2013 at 10pm (PH). Hannibal stars Hugh Dancy (The Big C, King Arthur, Black Hawk Down) as Will Graham, a brilliant, empathic FBI profiler who is able to mentally re-trace the twisted thoughts and methods of the agencies most-wanted serial killers. His boss and handler, Jack Crawford (Laurence H. Fishburne III, The Matrix, Contagion, CSI), who harnesses Will’s uncanny ability to see into minds of the evil, recognizes his need for psychiatric help after a particularly disturbing case. 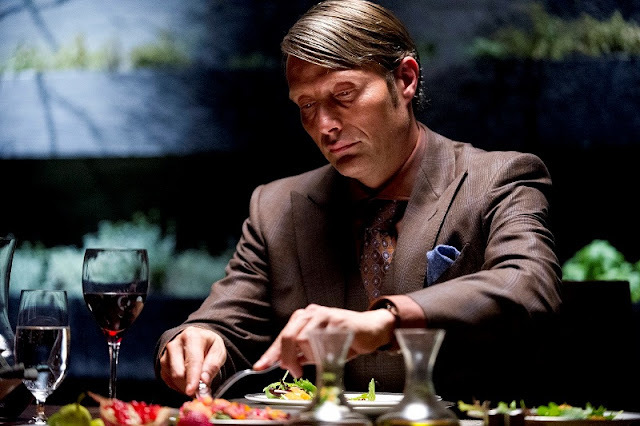 As a result, Will finds himself assigned to the care of the highly-respected psychiatrist Dr. Hannibal Lecter (Mads Mikkelsen, Casino Royale, The Hunt, A Royal Affair). Unbeknownst to Will, there is a reason Dr. Lecter has particular insight into these horrible crimes and the psychopaths who commit them. What follows is a masterful mind game set against the contrasting worlds of good and evil where lines blur, elegance breeds horror and nothing is what it seems. Bryan Fuller’s procedural drama with a twist is the latest AXN original series, ideally suited for AXN channels across Asia, Latin America, Brazil, Central Europe and Iberia. The series will also air on SET in Africa, and on Sony SciFi in Russia. As part of the global launch in April 2013, Hannibal will be rolled out in over 80 countries and versioned in 18 languages around the world. The U.S. premiere is slated for 4 April on NBC. 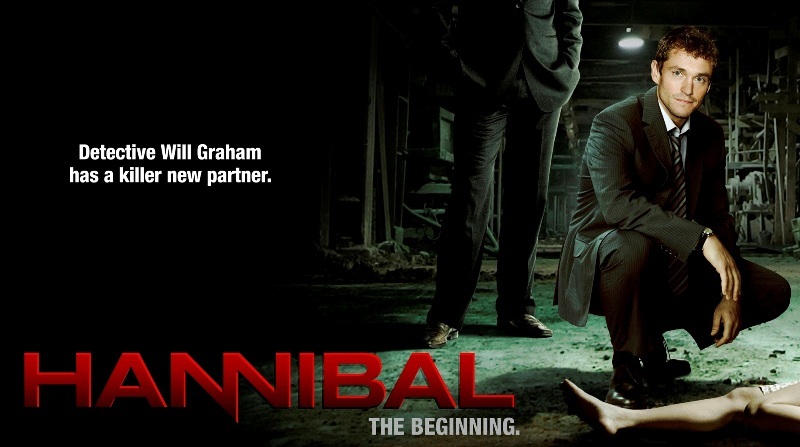 Hannibal is produced by Gaumont International Television in association with Sony Pictures Television Networks. Before “The Silence of the Lambs”, before “Red Dragon”, Dr. Hannibal Lecter was a brilliant psychiatrist in the employ of the FBI. His task: to help an unusually gifted criminal profiler, Will Graham, who is haunted by his ability to see into the minds of serial killers. From Bryan Fuller, the creative force behind such imaginative television as “Pushing Daisies”, “Wonderfalls” and “Dead Like Me”, and the upcoming Warner Brothers movie “Pinocchio”, comes this tour de force bringing the classic character Hannibal Lecter to television. After a particularly grueling case hunting a serial killer known as the Minnesota Shrike, Will Graham (Hugh Dancy) threatens to walk away. 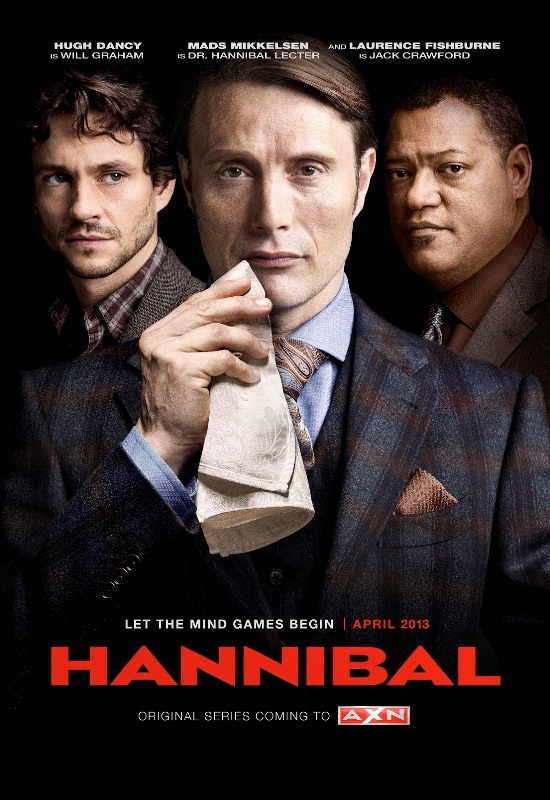 Jack Crawford (Laurence Fishburne), the head of the FBI’s Behavioral Science Unit, desperately needs Will on his team to break the tough cases, so he enlists Dr. Hannibal Lecter (Mads Mikkelsen) to ensure Will’s mental well-being. Unbeknownst to Will, Hannibal also has a particular insight into these horrible crimes and the psychopaths who commit them. As Will hunts down brutal killers, he is unknowingly sitting across from the most gifted killer of them all. me too but i have weak heart not sure can take it or not. there will be a new korean drama series coming up. Already shown in US. Just watched it. Awesome one yet!